Kuniyuki & Fumio Itabashi - Once Again. Vinyl 12. Bleep. New Kuniyuki on Mule Musiq, and it’s quite the departure from his last release. 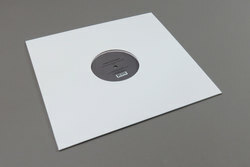 Whereas Music From Memory covered his extremely early organic ambient/avant-garde techno tape works these two tracks come from his not-on-vinyl 2009 LP. The Henrik Schwarz vocal track on the A side goes off into the slightly cheesy side of Larry Heard territory but on the B side we have ‘River’! Possibly one of the deepest, warmest Kuniyuki productions ever. Future jazz, broken beat and immediately recognisable trad Japanese elements all combine in 11 minutes that manage to feel like eternity. We mean that in the best way.